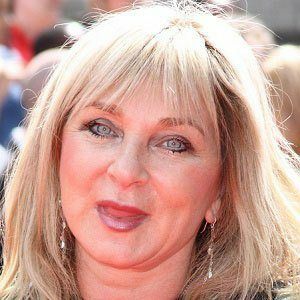 Notable for her portrayal of Flossie in the 1980s British comedy show Happy Families, she went on to appear on the sketch comedy program Naked Video and in the 1990s and early 2000s shows For Amusement Only and Absolutely Fabulous. In 2013, she debuted on both Old Jack's Boat (as Miss Bowline-Hitch) and Hollyoaks (as Mariam). After training at London's Central School of Speech and Drama, she became a stand-up comic at a London venue called the Comedy Store. She is known for her association with the United Kingdom's alternative comedy movement of the 1980s. The child of a Czech father and a British mother, she spent her early days in Carmarthen, Wales. Her first marriage, to journalist Roger Alton, produced an actress daughter named Hannah Lederer-Alton; she later married physician Chris Browne. She appeared alongside child actor Theo Stevenson in the 2011 family feature Horrid Henry: The Movie.